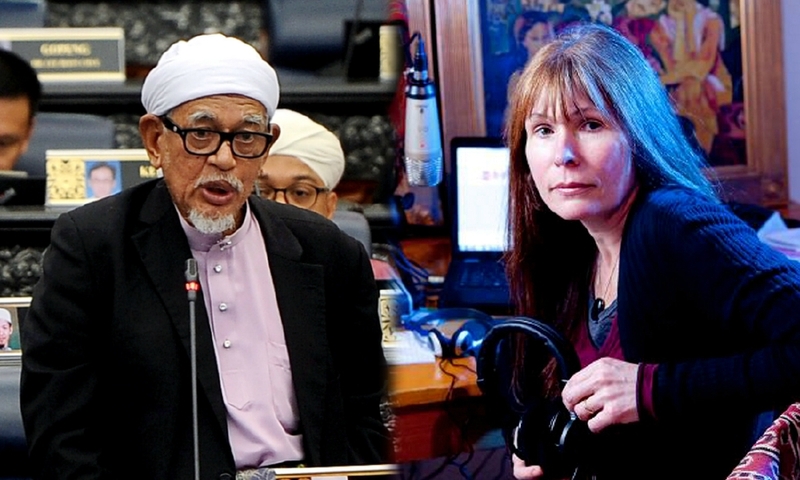 Anonymous 2411361459930771: PAS president Abdul Hadi Awang will be directed to withdraw the lawsuit as those implicated know that Sarawak Report editor Claire Rewcastle-Brown’s solicitors will rip them apart during cross-examination. They may be advised that, unlike you know where, the courts in the United Kingdom are highly competent, independent and rule without fear or favour. The courts there are well respected, held high by the people all over the world, and dish out sterling decisions appreciative of wise and legal reasoning and in consonant with the law of the land and not according to “the law” of the prime minister. That is the stark difference between a decision of a UK court and a decision of the shameless kangaroo courts practised in certain Third World countries. Hadi fell into a trap he set on his own and many will be pulled down as well. If Hadi withdraws his London suit, whatever Rewcastle-Brown had said becomes the gospel truth and PAS members, as well as the rest of the law-abiding people of Malaysia, will spit at you know who. Watch the fun, the heist of the century in Bolehland is about to be unwrapped in UK. Anonymous 5: The lawsuit has backfired on Malaysian Official 1 (MO1) where the truth will now be put before UK courts. Indeed, Hadi will be directed to withdraw as MO1 will have to answer on the allegations on the slain deputy public prosecutor (DPP) Kevin Morais. Demi Rakyat: And yes, we have attorney-general Mohamed Apandi Ali who said they (the billions found in PM Najib Razak’s bank account) were “donations” but the whole world knows that the money came from 1MDB and they are laughing at him and us, Malaysians. 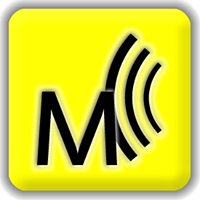 Annonymous: The PM now will have to reveal the details of the RM2.6 billion “donation” in the UK court. HardTruth: This scenario is similar to the Hollywood movie “Denial”, where a speaking engagement of an American professor (Deborah Lipstadt) was disrupted by David Irving, a Nazi Germany scholar. He files a libel lawsuit in the UK against Lipstadt and her publisher for declaring him a Holocaust denier in her books. As in UK, the burden of proof in a libel case lies with the accused, Lipstadt and her legal team, led by solicitor Anthony Julius and barrister Richard Rampton, must prove that Irving lied about the Holocaust. In this case, Hadi accused Rewcastle-Brown of defaming him, the burden of proof is on Rewcastle-Brown, she has to prove in court that what she wrote about Hadi is true. Let’s see if the outcome of this suit would be similar to that of the movie (it’s based on a true event by the way), where Lipstadt and her legal team successfully discredited Irving’s version of his scholarly research and lied about the Holocaust. Demi Rakyat: I think all Malaysians believe the draft charge sheet against Najib is real and that’s why then AG Abdul Gani Patail was removed. We have a PM who is a disgrace to the country. Falcon: Can you imagine what the outcome in the court of public opinion internationally will be, when individuals yielding so much power in the Malaysian corridors of politics and power are subpoenaed to the UK proceedings but do not make the journey? Oh beloved Hadi, what hast thou done? Bluemountains: If Apandi is somebody’s personal legal representative, he can refuse to comment. But, if he is a public prosecutor, he is obliged to say something. What is he? Jaycee: Has Apandi commented on anything, besides saying there is no wrongdoing with 1MDB and everyone involved in it is innocent? And that 1MDB is God’s gift to the people, and thus no further action is required? Vijay47: Strange. Earlier, Apandi dismissed the draft charge as “fake“. Now he refuses to comment, which can only mean that the previously fake document has mysteriously acquired some features of authenticity. Is Apandi having nightmares of being summoned to London as a witness? Like the cat said, curiouser and curiouser. Odin Tajué: Apandi, I state herewith what Vijay47 and a few others have stated or implied – you have declined to comment on the authenticity or otherwise of the alleged charge sheet, whereas you have previously declared it to be fake, because you are up your own creek without a paddle. Like Macbeth, you are in blood stepp’d in so far that should you wade no more, returning were as tedious as go o’er. I doubt you understand that bit by Shakespeare. In plain English, your goose is cooked. Abasir: Odin Tajué’s pithy observation, straddling as it were, the profound and the profane, says it all. Headhunter: It’s absolutely revolting how people who are supposed to protect public interest are working against it and are in fact acting in cahoots with rogue leaders and officials to pervert the cause of justice. Just how do they face themselves in the mirror and sleep peacefully at night, one wonders. They might think they can get away with it for now, but do they ever think of the consequences they have to face in future when their protectors lose their positions? Drngsc: The evidence is all over the internet and in major newspapers in at least six countries, and still Apandi claims lack of evidence. What is most shameful is that he is AG. He cannot see the evidence in the 1MDB “heist”. He cannot see the all the ministers’ lavish lifestyle living beyond their means. He cannot hear the hate speech of Zakir Naik. FlabberPro: Read how angry Malaysians are at Apandi’s ignorance. If only Apandi himself reads all these comments about him. But then again, even if he does, is he able to make right the wrongs he has done? I hope he is aware, deep within him, that all his decisions today will affect his children and his grandchildren too.